18 April 2017, at 12:02a.m. GLOBAL - Many of the chemical products used in poultry and swine production are delivered through the water system. Some simple best practices will keep your water-driven volumetric proportioner, or as it more commonly called a medicator, in good working order. 1. Use a mixing device in the stock tank - that doesn’t mean a paint stick! Many of these products don’t mix well in stock tanks and are difficult to keep in suspension. A small (1/200 hp.) 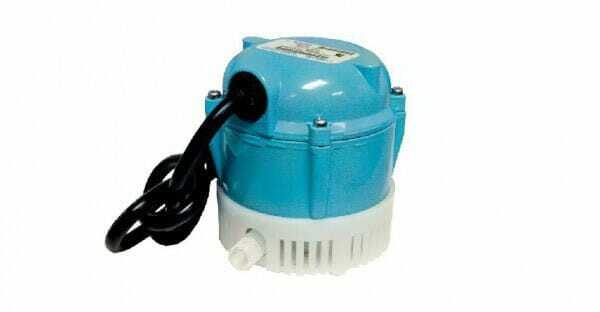 agitation pump does a great job of keeping solids in suspension, is inexpensive to operate and is relatively low-cost at around $60. Maintaining a homogenous mixture in the chemical stock tanks aids in accurate chemical delivery. 2. Flush with clean water - from a clean bucket. After you finish injecting a product, take the hose out of the stock tank and let the medicator pull water from a clean 5-gallon bucket. The fresh water will flush any chemical residue from the seals and springs. Cleaning the system also prevents any problems with leftover chemical reacting with the next product used in the system. 3. ”Click-Clack” doesn’t mean it’s working - replace the seals. While it is easy to diagnose a broken spring or diaphragm when you don’t hear the familiar “click-clack,” a medicator will continue to operate with damaged seals. Harsh chemicals can weaken or damage the rubber seals over time, allowing the stock solution to leak causing inaccurate dosing rates. 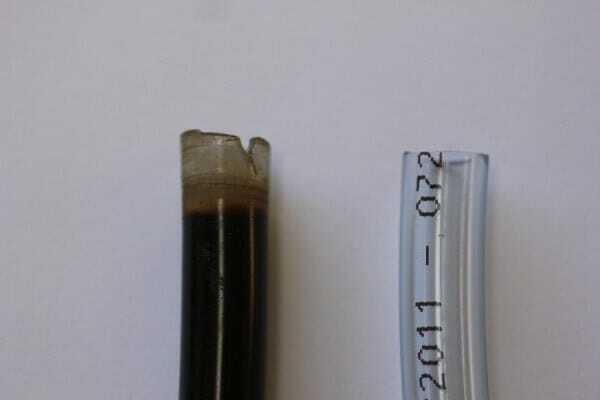 To maintaining accurate chemical delivery, replace the rubber seals annually. There are replacement seals kits available for every brand of medicator on the market. It takes less 15 minutes to replace them, and the cost for most kits is under $20. 4. While you’re at it - clean the inside too. 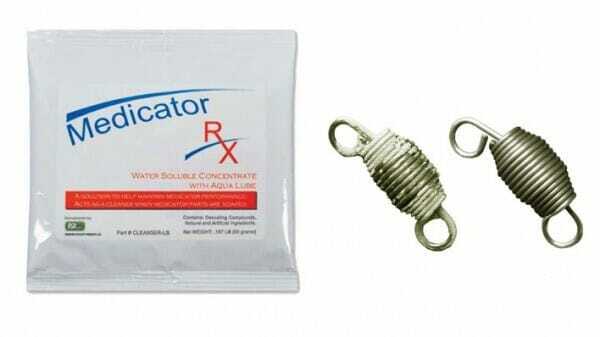 As long as you are taking the medicator apart, disassemble the entire medicator as far as you feel comfortable doing so and soak the parts in soapy water to remove chemical or mineral deposits. You can also use a cleaning product designed specifically for cleaning medicators called Medicator RX. Mix it up according to package directions and let the parts soak for 24-48 hours. The product not only cleans better than plain soapy water but also lubricates any moving components. Check with the pump manufacturer before using. 5. Check the suction hose - it works like a straw. 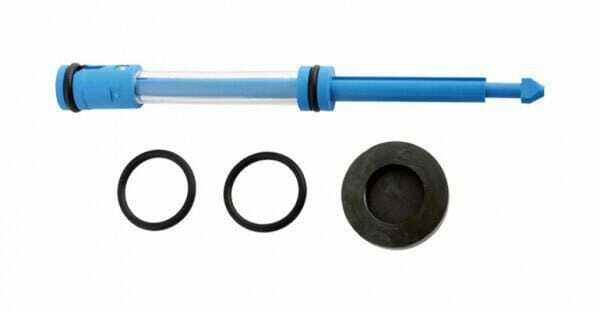 A cracked or broken suction tube permits air to enter the system, ruining accuracy. It’s a good idea to periodically snip off the top part of the hose and reattach it to the medicator hose barb to prevent leaks. These are general recommendations for the most commonly used chemicals. Some chemical formulations may require more frequent maintenance and cleaning of medicator pumps for proper dosing rates. For more information on medicators, click here.